Welcome!! 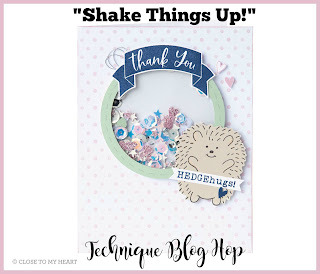 You have arrived at The Scrap Buzz from CTMH Craftings. Lauren is across the Pacific Ocean from me in New Zealand!! Keep clicking the links from blog to blog until you visit every in the circle. If you get lost while globetrotting, there's a list of participants here. 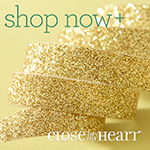 Did you get last month's special, Holiday Sparkle? So cute!! 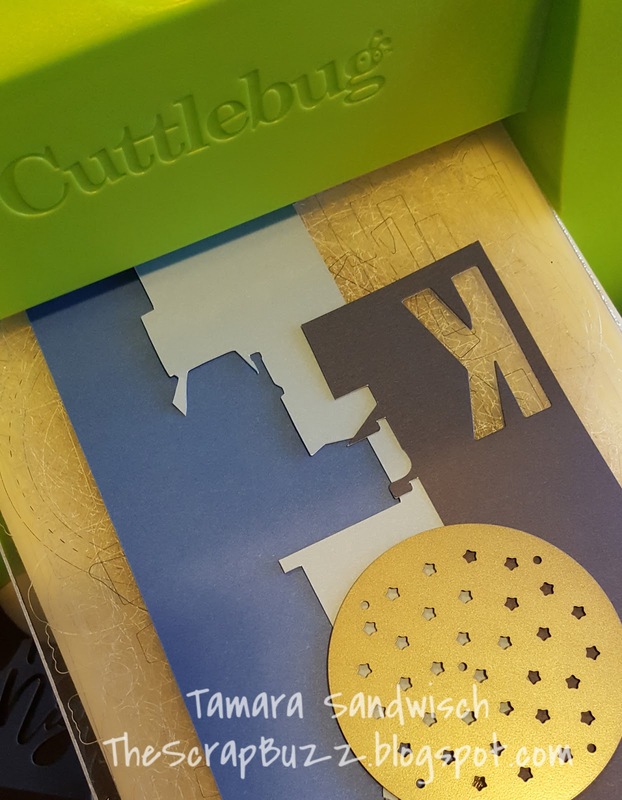 That card kit was Cut Above® style, all the pieces were pre-cut. 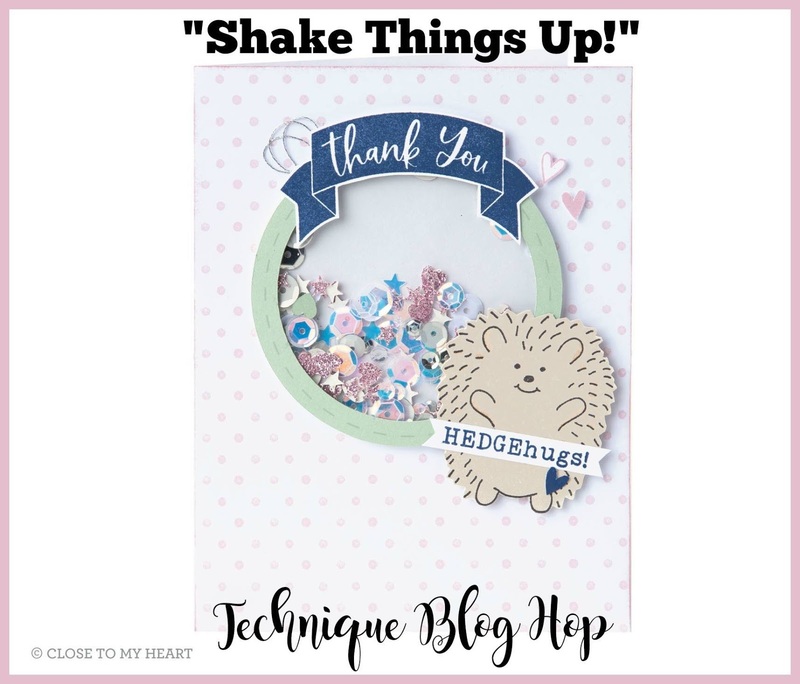 But the fun doesn't have to stop with that kit, this month's blog hop is showing ideas using the individual Shaker Card products. 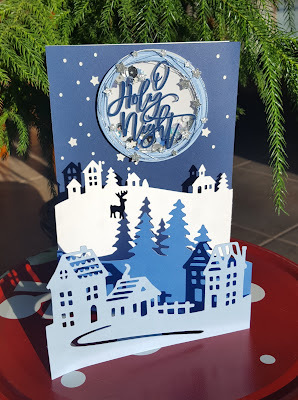 For my card, I started with our new Cricut® Season of Joy Digital Collection. The "Silent Night" card is pre-designed with all the layers, #M584FBE2. The four layers are attached at the sides to form an "M" shape. I have cut this before in standard size; this time, to accommodate the shaker, I made it 5x7. I removed "Silent Night" and replaced it with the "Oh Holy Night" image #M584F877. I made the base circle 3" to match the scale of the Shaker Window and Confetti Thin Cuts. TIP: Remember to insert your scoring stylus when cutting the card overlays. 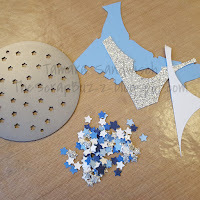 The confetti dies are great for using up small, odd shaped scraps. If you don't have any scraps, you can run the same piece through your machine in different alignments. 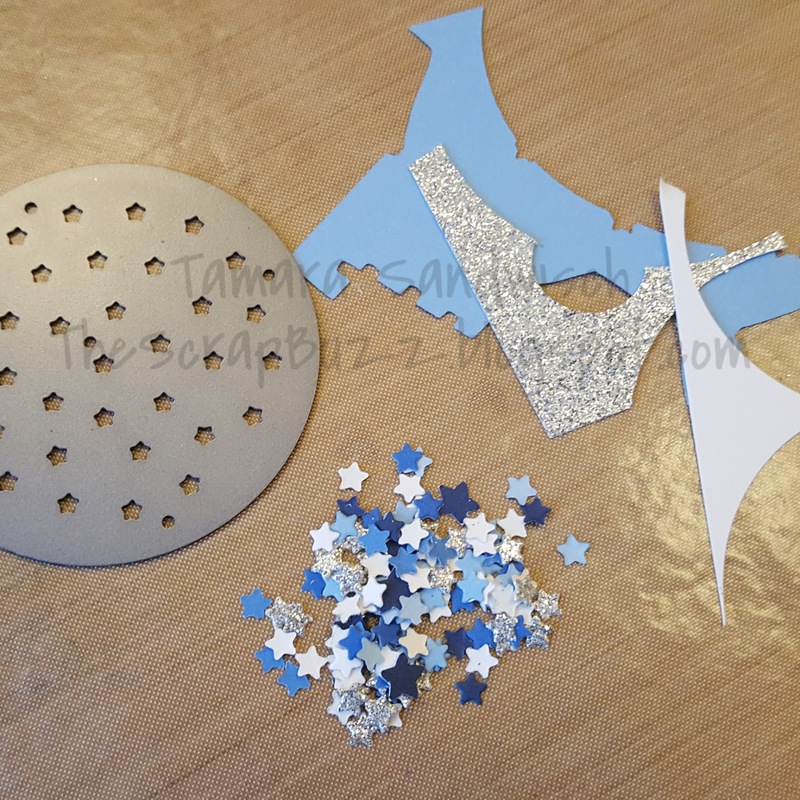 I added star confetti to the Loose Sequins in Silver. TIP: Toss the Anti-static Pouch in with your sequins, re-seal and shake a little. Remove the pouch. It helps tame things down a bit. 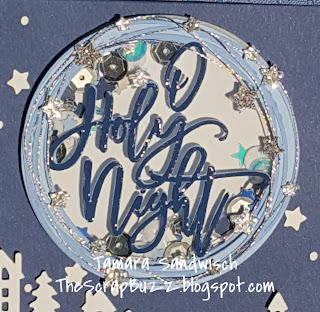 Except for the base circle, the O Holy Night layers are on top of the acetate circle. After attaching the Sapphire phrase to the Carolina Blue piece, I highlighted the sentiment with Liquid Glass. I added Embellishing Thread to mimic the cardstock circles and sandwiched it between the cardstock and glitter stars with Micro Glue Dots. This was all secured to the top ring before placing it on the acetate. Please leave a comment and let me know what you think of my project. Your next stop is just down the highway from here (literally), so head to duck-land and see what JAYMA has created for you!